A small iron key which could have saved Titanic is helping guarantee seafarers’ futures. The key is thought to have secured the binoculars for the crow’s nest on Titanic, whose sixth officer was James Moody of Scarborough. The key never made the Titanic's fateful maiden voyage, from Southampton to New York in April 1912, because it was inside the pocket of second officer David Blair. Blair was due to sail with the ship but was replaced at the last minute, crucially forgetting to hand over the key when he disembarked. One of Titanic’s lookouts, Fred Fleet, later told an enquiry that the binoculars could have saved the ship and 1,522 lives. 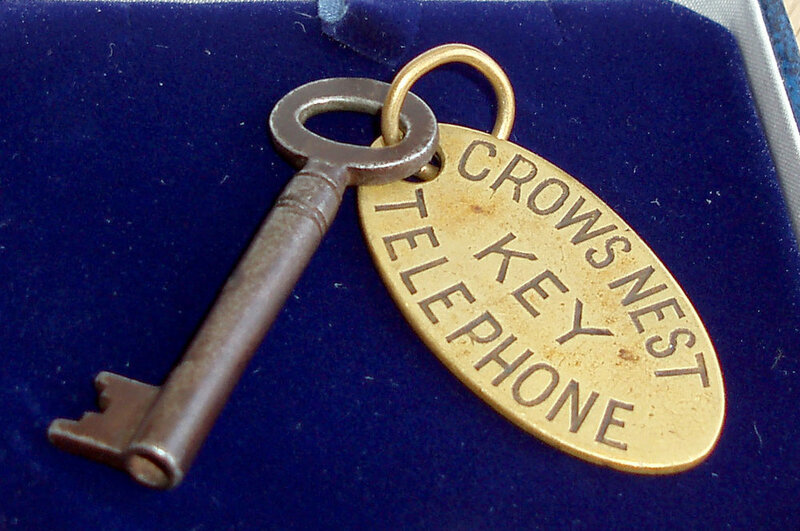 Blair kept the key, passing it onto his daughter Nancy, who donated it to the Sailors’ Society in the 1980s. In 2007, the international maritime charity sold the key to a Chinese businessman for £90,000 at an auction in Wiltshire. The proceeds are still helping to fund its education programme. Grants and bursaries help aspiring seafarers achieve careers at sea and seafaring families who are unable to afford an education. Stuart Rivers of the Sailors’ Society said: “The money we raised from the sale has been changing the lives of students around the world by giving them the opportunity of an education”. Since 2011, more than 100 people have received scholarships and nautical grants from the society. James Moody passed through the King Edward VII Nautical School less than a year before Titanic was lost, achieving his master’s certificate on 26 April 1911. His last actions were poignantly recalled by Geoffrey Marcus in his book The Maiden Voyage. “Moody stayed with the ship to the end and was the means of saving many a life that would otherwise have been lost”. A plaque in St Martin’s Church is dedicated to Moody.